Raise your Business Standards High with USA Dedicated Servers! Our USA Dedicated Servers are configured with latest hardwares available in Industry. We allow you to configure the servers as per your requirements, let it be RAM or Hard Drives, either Network or Bandwidth. We have wide range of server configurations placed in our infrastructure. You can demand for the Custom Servers. We operate in TIER III+ Datcenter Evoswitch, which currently spans more than 2,35,000 Square Feet. The datacenter is housing an ecosystem of providers and highly Secured Robust Network, which delivers massive bandwidth capacity, blazing speed and unsurpassed connectivity for your workloads. We provide one-stop cart for all of your dedicated hosting requirements. Our infrastructure is built with Unmetered Servers, 100TB Servers, 10TB Servers and 10Gbps Servers mounted on 1Gbps and 10Gbps Volume Network Connectivity. Be a freelancer or a big enterprise, we have Best Dedicated Server for you. Servers with 10TB Bandwidth and 1Gbps Volume Network Line. 1Gbps Volume Network Line with 95 percentile. Servers with 10Gbps High Network Volume and 250TB Bandwidth. Servers with 1Gbps High Network Volume and Unmetered Bandwidth. ScopeHosts operating on world class datacenters all over the world to meet the individual needs of your business. Highly experienced support engineers are available 24/7 to perform regular and Remote Hands maintenance activities. Our WDC1 Datacenter uses the latest technology to guarantee high security, powerful performance and availability. We put you in total control over functions like Reboot, Bandwidth Check, RDNS setup, Rescue Boot and etc. We have global transit providers and private peering arrangements to extend global reach and best-in-class connectivity. 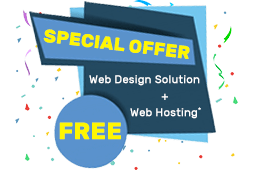 "Scopehosts is the leading web hosting service provider. I have evidenced growth in my business after I migrated from my former host. Scopehosts assures its customers hassle-free services." "I feel that scopehosts is the real-time epitome of the host with great support team, available 24/7 to equip all the clients with better and feasible solutions." "I am using Scopehosts Dedicated Server hosting Service for the past few years and they do provide us exceptional support whenever any issue is encountered. Also provide every new update on hosting services whenever available. " 1. Where are your USA Dedicated Servers located ? Ans: We operate in WDC1, TIER III+ Datacenter Evoswitch, Manassas in Virginia. WDC1 has been designed to the highest possible standards to provide high security, network connectivity and sustainability. 2. What kind of network connection will my server have to the Internet ? Ans: You will be getting minimum 1GBPS connectivity. We do have 10GBPS network speed in USA location. You can choose any of the best dedicated server equipped with 1Gbps and 10Gbps network speed based on your website specifications. 3. How much bandwidth is included with each of the plan of this hosting service and how is it metered ? Ans: In USA location, you have a variety of bandwidth options to choose from 10TB, 100TB, 250TB and Unmetered bandwidth. Our dedicated hosting plans are designed to meet each of your needs. 4. How many websites can I host on a dedicated server ? Ans: You can host any number of websites on the server. The only thing to note is that resources should not be overused. If server resources are not enough, then you can buy extra resources provided as addons. 5. Do you offer backup services? Ans: No, we do not provide backup services for unmanaged server. If you take management service, then you can claim for a backup service too. 6. What is Pro-rata billing ? Ans: When you sign up for a new account you will be assigned to one of our standard billing cycles. When you receive your first monthly invoice you will see that it will be calculated based on the number of days between your sign-up date and the date of this billing cycle (inclusive). This is commonly known as a pro-rata amount. Future invoices will show the full standard monthly amount. For more details refer this article. 7. What RAID levels are available ? Ans: Our servers come installed with RAID and can be changed to offer different RAID options like RAID0 and RAID1. 8. Will I have root access to my dedicated server? Ans: Yes, as you own a server you will be given root access to the server. 9. Can I install software on the server? Ans: You will be given root access to the server, hence you can install any software, but make sure to read our Acceptable Usage Policy Page before installing any software. 10. Can I customize the hard-disk on the server? Ans: ScopeHosts gives you several options to choose. You can choose one among those options to customize the hard-disk as per your choice. 11. Do you provide DDOS protection? Ans: Standard 1Gbps DDOS protection is provided with any server ordered. All IP addresses are DDOS protected. 12. When will be the server delivered to me? Ans: ScopeHosts strives deploy your server as soon as possible and dedicated servers deployment needs 1 to 5 working days. 13. Do you offer server with Windows Operating System? Ans: Yes, we do provide Windows OS. You need to select Windows OS option while ordering. We support Windows Standard and Datacenter version. 14. Can I get additional bandwidth if my bandwidth is used completely? Ans: Yes, bandwidth upgrade option is available. You can choose for upgarde through client area or you can contact our best hosting experts to upgrade the bandwidth. 15. How many additional IP addresses can I take? Ans: One IP is provided for free to you to when you subscribe with our service. If you require additional IP, then you can buy 15 more additional IP's based on your needs. 16. If I do not renew my service within due date, what will happen with my IPs? Ans: For this hosting service, you need to make the payment within 5 days prior to the due-date. Failure to do so will lead to suspension of the server and your data will be lost permanently. 17. Can I upgrade the resources at any time? Ans: Yes, you can upgrade the resources anytime. Choose the addons from your client area. Once payment is done for these addons, your server resources will be upgraded. 18. Can I compile my own Kernel on the server? Ans: Yes, absolutely! You will be granted root access, which gives you the ability to configure your server however you desire. 19. Do you enforce any restrictions on the content that I host? Ans: As long as the material or content does not violate the United States Laws, you can upload any type of content that you want. Ensure to read our terms of service before hosting anything on your website. 20. What are your payment gateway modes? Ans: You can pay bills through PayPal, WebMoney, Bank Transfer, PayU, DotPay, UnionPay, Qiwi, iDeal, Yandex.Money, AliPay, TrustPay & GiroPay. 21. What control panels do you offer? Ans: We offer the following control panels options cPanel/WHM Panel, DirectAdmin Panel and Plesk Panel. You can buy any of the control panel as addon. 22. What kind of support you offer? Ans: We offer the best support through Skype, Live Chat, Ticketing System and Emails. Also you can call us at +91-0836-425 4321. 23. Do you provide moneyback guarantee? Ans: No, with dedicated hosting service we do not offer moneyback guarantee. If you have any queries related to the moneyback policy, then you can contact us at any time..
5. Do you offer backup services ? 7. What RAID levels are available? Ans: No, with dedicated hosting service we do not offer moneyback guarantee. If you have any queries related to the moneyback policy, then you can contact us at any time. Be a Part of 5200+ SCOPEHOSTS family Now! ScopeHosts provides worldwide quality web hosting and supported services since 2008. ScopeHosts, along with 55 Heroic Support staff`s available to serve you 24/7. We`ll prepare Tailor Made one for you, Contact us Today….